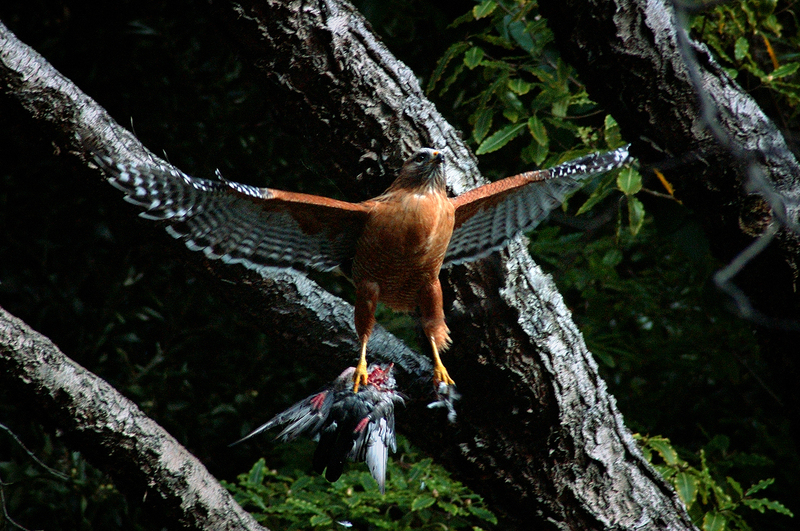 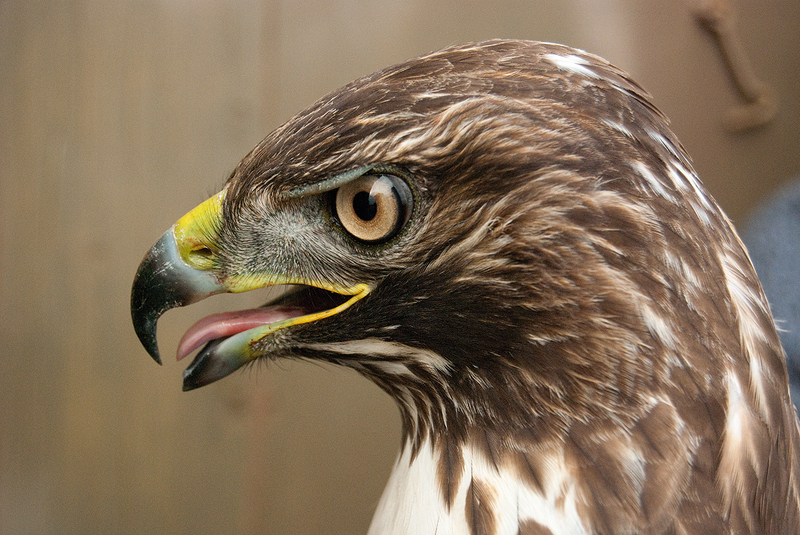 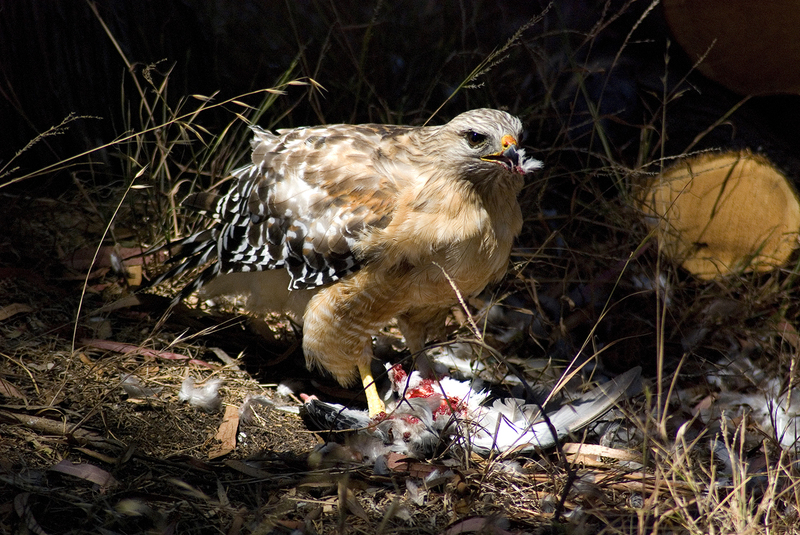 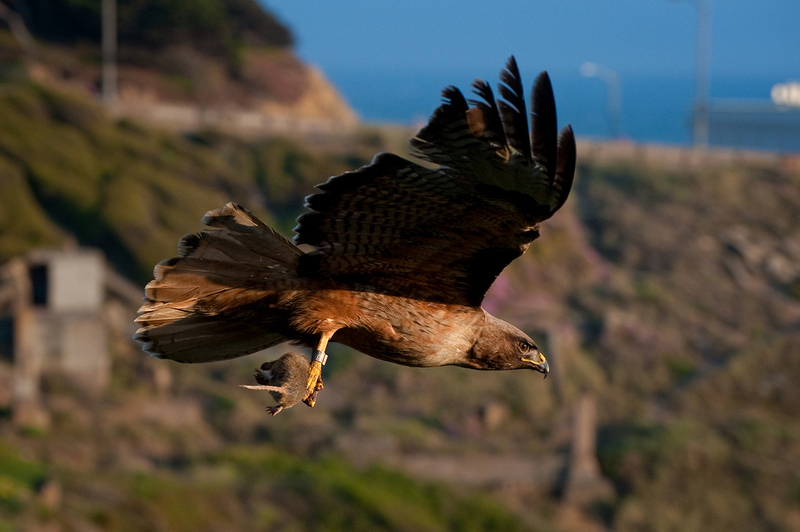 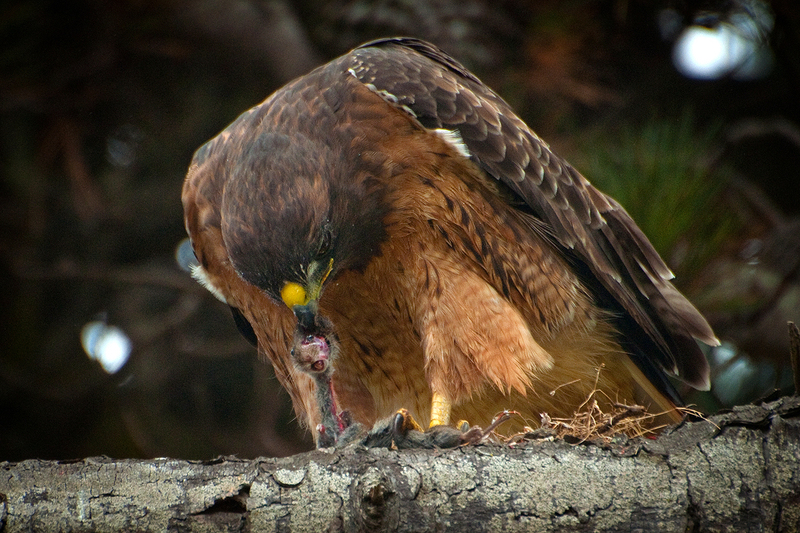 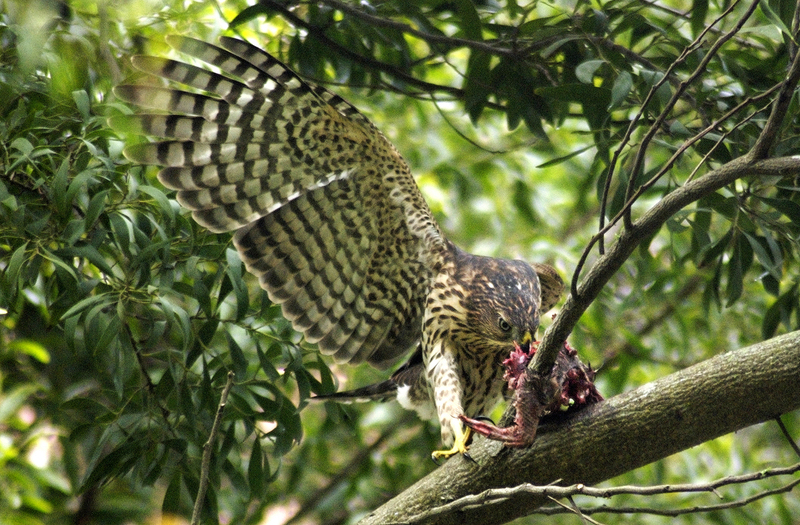 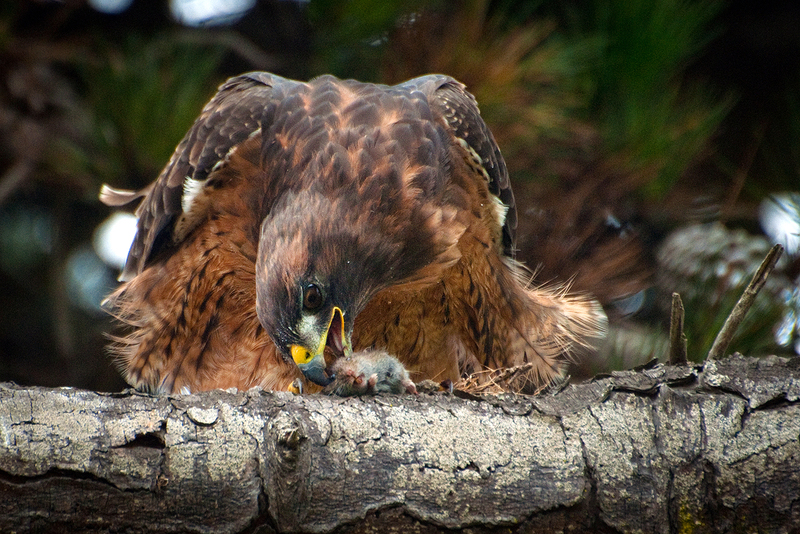 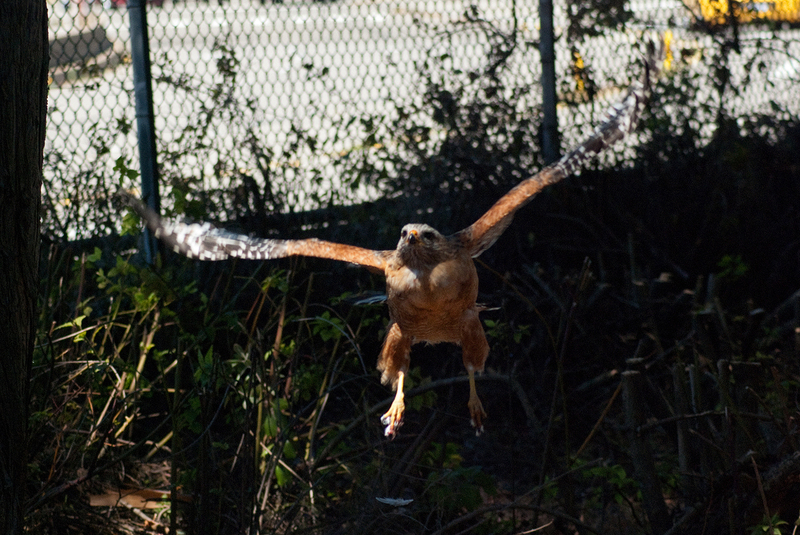 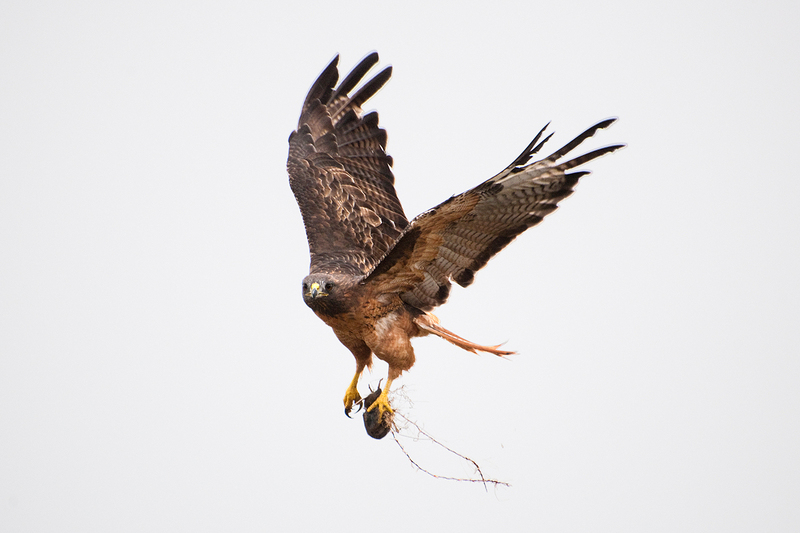 Caught by the leg and the wing, a Pigeon goes for a ride courtesy a Red-shouldered Hawk. 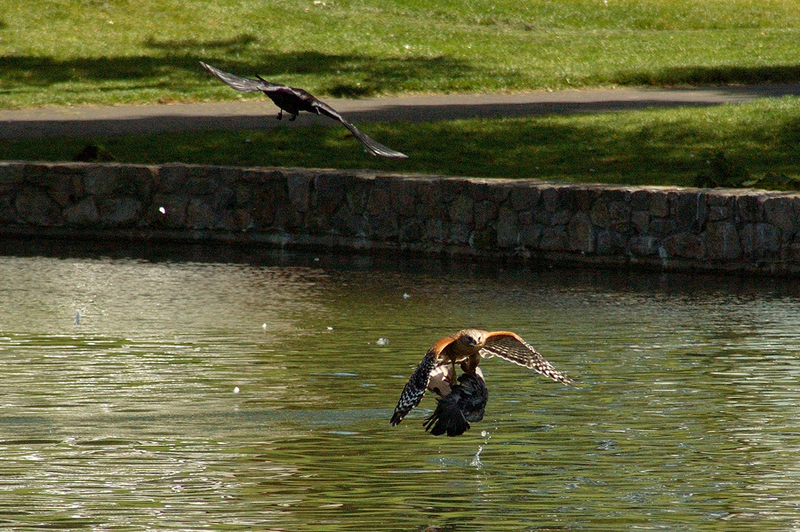 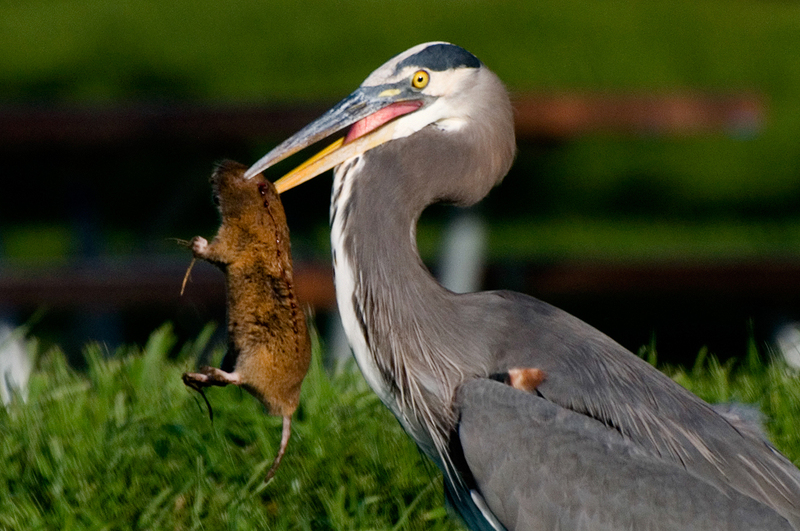 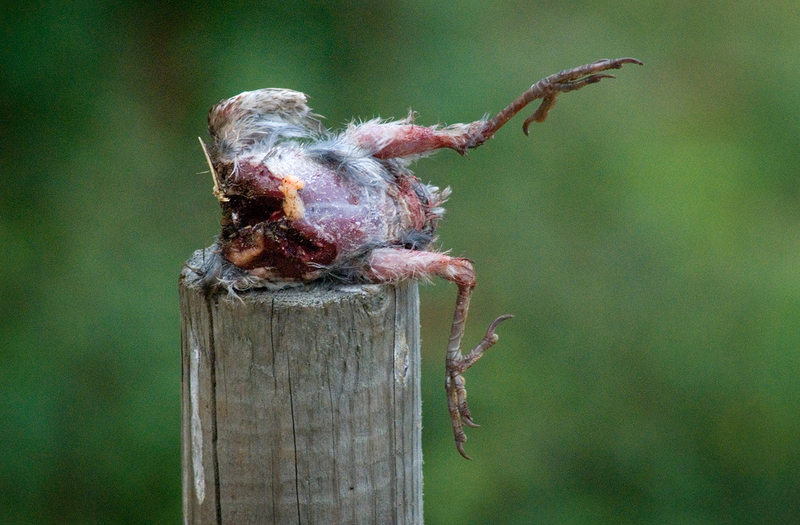 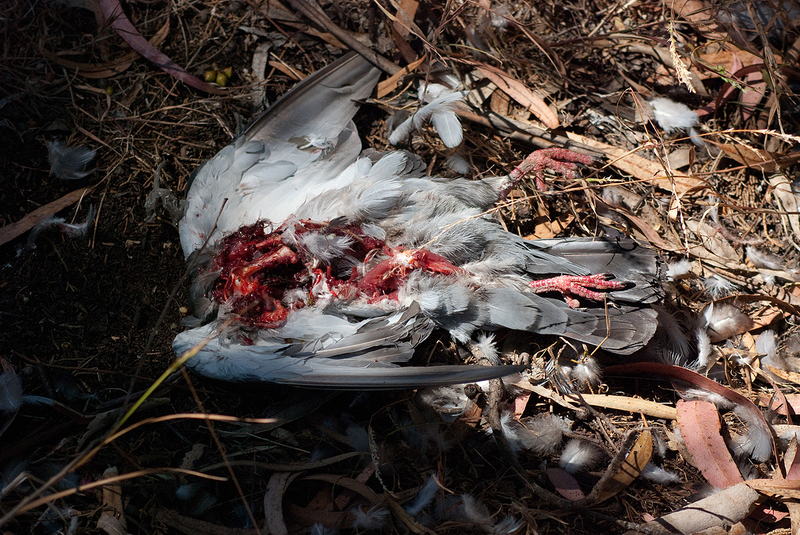 The mobbing Crow caused the hawk to drop its prey and the Pigeon swam to shore and survived. 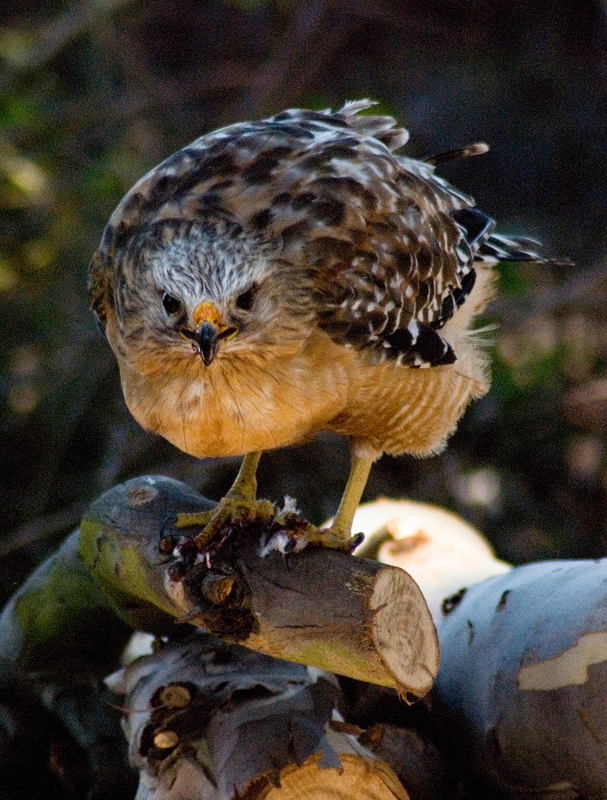 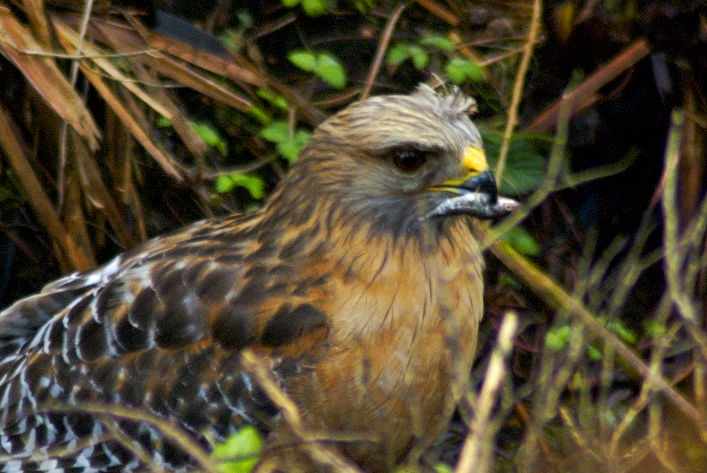 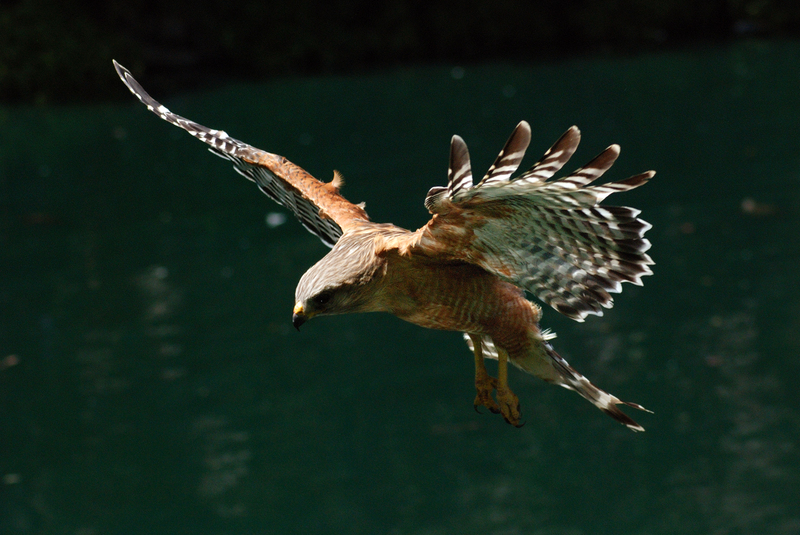 A Red-shouldered Hawk goes fishing! 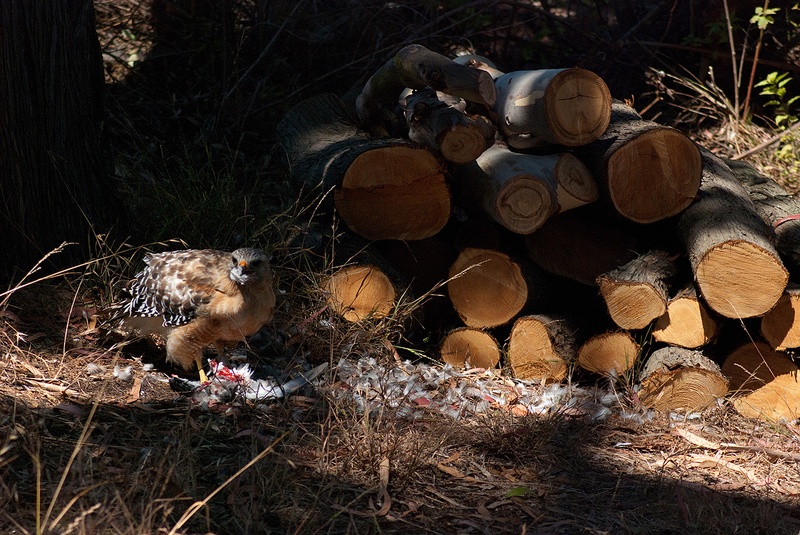 The first photographic documentation of this behaviour.